PLANS for one of Scotland’s biggest urban modernisation projects have been pitched to worldwide business leaders at a glitzy Cannes exhibition. 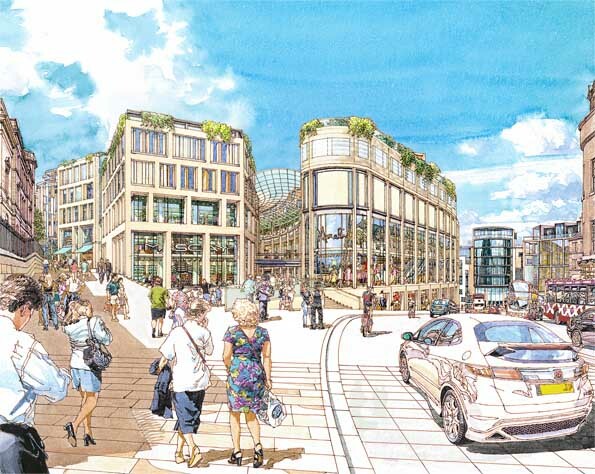 The massive £850million redevelopment of Edinburgh’s St James Centre will transform the east end of Princes Street and the top of Leith Walk. As one of the entries in the ‘Spotlight On The Cities’ forum, Henderson Global Investors is hoping to attract big business to back the ambitious project. Staff from Edinburgh City Council also assisted in pitching the new development to delegates at the MAPIC trade fair. SCOTLAND’S police officers have taken more than 300 years’ worth of days off since the beginning of 2008 in Scotland – blaming STRESS for the sickies. The thin blue line shrank even further as colleagues missed some 120,000 days on their beat with stress, anxiety, and other psychological factors being fingered as responsible. And it has led to calls for the Scottish Government to offer “proper” support to the men and women trying to keep the nation’s streets safe. According to data obtained through a Freedom of Information request, Strathclyde Police alone took more than 85,000 days off – more than 230 years worth of policing time in one of the UK’s most crime-ridden cities. Some 36 staff even left their jobs permanently because of stress and anxiety. A FORMER professional footballer turned soldier was due to return from Afghanistan last night after being injured in a roadside bomb. Rifleman David Etale, from Edinburgh-based 3 Rifles, was left unconscious after his back bore the brunt of the blast. The Kenyan – who now plays for Edinburgh Spartans – told his friends and family he was “recovering well” but could not walk easily, and still has shrapnel lodged in his back. David is to be taken to a specialist army hospital in the south of England to recover. A BLIND youngster whose life was turned around with help from a specialist school in Scotland is to have his special handmade Christmas cards send to famous folk including Barack Obama and Nelson Mandela. Nine-year-old Ben Wilson lost his sight and was left brain-damaged after a 16-hour fit when he was just six-months old. But his proud mum and dad say his life has been turned around after just three months at Edinburgh’s famous Royal Blind School. 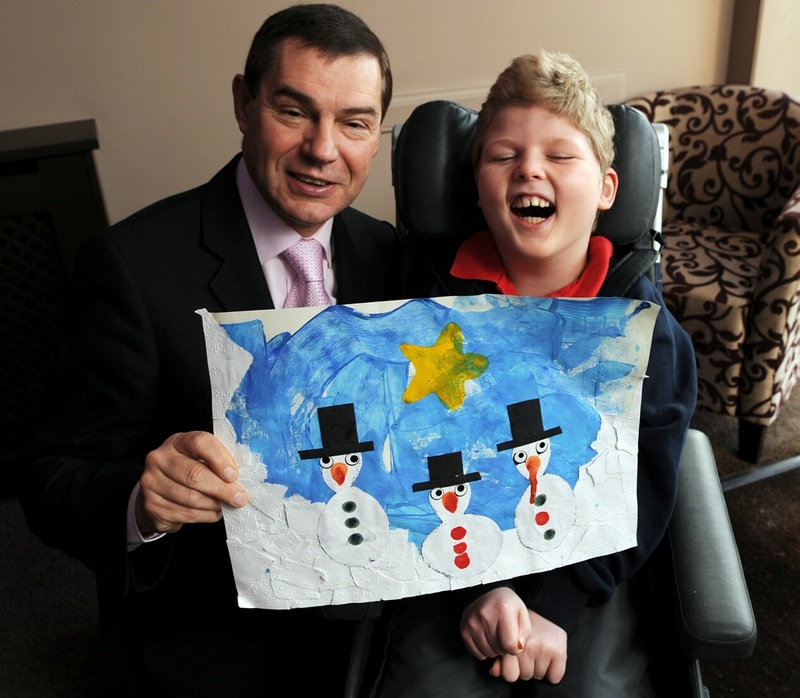 Ben won a Christmas card competition to have his design presented to famous political figures, including former US president Bill Clinton. A ceremonial jacket velvet jacket belonging to Duleep Singh, the youngest son of the legendary last Maharajah of the Punjab Ranjit Singh is to be sold at auction. The ‘Lion of the Punjab’s coat and will be sold at auction by Lyon & Turnbull on 9 December 2009 along with other Indian artefacts and expected to raise some £60,000. The jacket is accompanied by a pair of shoes belonging to the Maharajah which are estimated to go for a further £15,000. A 61 year-old-man was being quizzed by police last night in connection with the death of a 57-year-old woman. 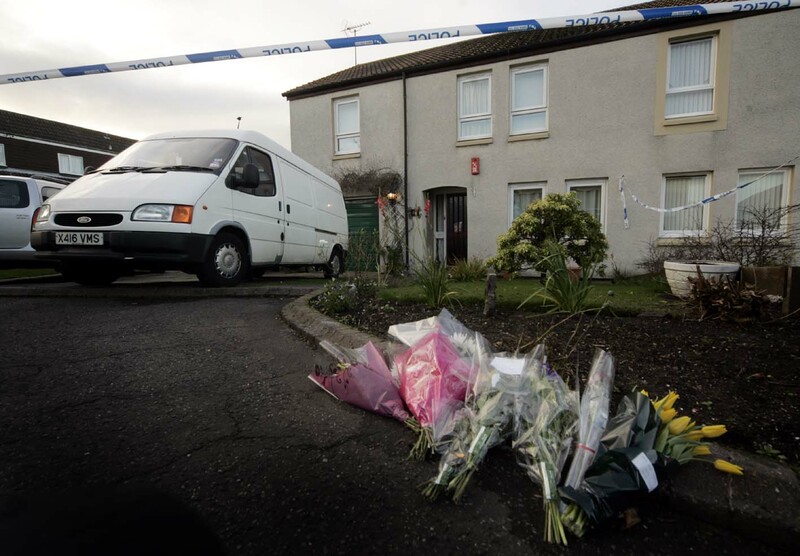 Detectives said he had been held over the grisly discovery of a body in Stoneybank Drive, Musselburgh. The scene of the death had been sealed off by police tape with an officer posted on guard outside number 24. Locals yesterday named the dead woman as Janette Richardson. BLUBBING Scots telly babe Lorraine Kelly was in floods of tears yesterday as celebrities from across the globe wished her a happy 50th birthday. Stars including film hunk Gerry Butler, The Bee Gees, Peter Andre and Ricky Gervais sent surprise messages while she presented yesterday morning’s GMTV. Looking wholesome as ever in revealing tartan dress, the big-hearted Dundee mum couldn’t hold back the tears as youngsters from the Black Watch Army Cadets also passed on their best wishes. In a morning packed full of surprises, Lorraine was relieved from her usual presenting duties by another TV queen, Paul O’Grady, with the set adorned with balloons. The camp star leapt onto the GMTV set and whipped off his bowtie, treating Lorraine to an impromptu birthday strip-show.